Preheat oven to 350ºF. Line 36 mini muffin tin holes with mini cupcake wrappers. In a large mixing bowl, combine brownie mix, water, applesauce and egg whites. Mix 50 times with a wooden spoon (use 50 strokes); do not under or over mix. 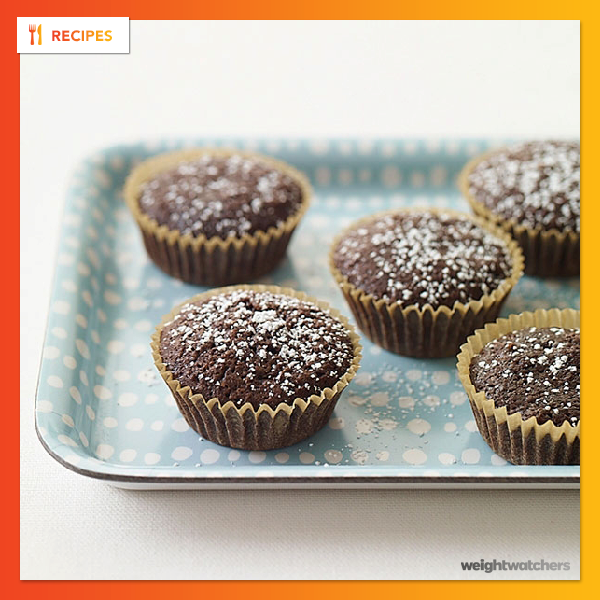 Pour brownie mixture into prepared muffin tins, about 1 tablespoon per hole. Bake cupcakes until a tester inserted in center of a cupcake comes out clean, about 12 to 15 minutes. Remove from oven and cool completely; remove cupcakes from pan. Before serving, dust with powdered sugar. Yields 1 cupcake per serving.